Fish has long been touted as a food with impressive health benefits, and it seems it’s the only type of animal-based protein you can convince your doctor to prescribe you. Oily, fatty fish high in omega-3 fatty acids (the good fat, also referred to as n-3 fatty acids), are an important part of our diet since the human body is incapable of producing enough of these essential nutrients on its own. These essential fats help us maintain our heart health , mental wellness , and our overall healthy growth and development. While that recommendation might not require an actual prescription, oily fish high in healthy fats are a dietary “medicine” that individuals should take with some frequency—about the same as the supplements most of us keep our shelves stocked with. In fact, one serving of seafood should be a part of your diet at least once every week according to studies. For five years, researchers followed hundreds of older adults who were free of dementia. At the end of the study they found the decline in cognitive functioning became slowed in the group that reported eating seafood high in n-3 fatty acids, at least one time a week. The two essential fatty acids found in fatty fish, responsible for the memory protection seen here and in other studies, are eicosapentaenoic acid, or EPA, and docosahexaenoic acid, or DHA. The fatty acid DHA is required for growth and development, especially during childhood, and EPA is most effective at supporting cognitive function. To avoid age-related problems with cognition, both fatty acids should be in your diet , and they probably are if you already supplement with fish oils or another fatty acid supplement. You can tailor the ratio of EPA to DHA to your situation. 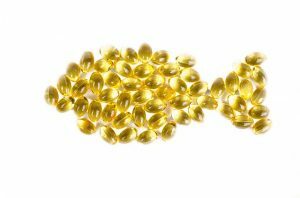 While it’s not clear whether one form of n-3 fatty acid is more important than the other, one thing is certain: The ratio of dietary omega 3 fatty acids to omega 6 fatty acids should be one-to-one to experience all of the benefits of omega 3 supplementation. This will also help you avoid the side effects and symptoms associated with excessive omega 6 fatty acids, like the increased risks of both Alzheimer’s disease and prostate cancer [4, 5]. There are also no studies indicating a higher ratio of omega 3s should pose any risk, so going above the one-to-one recommendation in this scenario should be fine. What Do You Do If You Can’t Eat Fish Once a Week? There are plenty of people who don’t get a serving of fish every week. Maybe they’re concerned about contaminants , or they find fish difficult to cook or unappetizing. Whatever the case, if you’re one of them, don’t worry, because there are options other than reconsidering your stance on sushi. Supplementing with Omega-3 acids is as effective as eating fish (if not better in many cases) and you just can’t beat that convenience.